One of the most enduring shows of all time, this rollercoaster ride of a musical promises to be a technicolor extravaganza of biblical proportions. 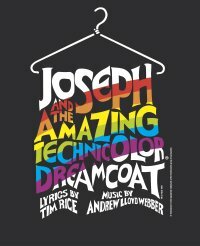 Joseph and the amazing Technicolor Dreamcoat retells the classical story of Joseph and his prophetic dreams, and the coat of many colours. Told entirely through song, this magical musical is packed full of unforgettable songs set to an abundance of musical styles from country - western and calypso to pop and rock and roll. Fabulous costumes and dance routines take you on this amazing journey, guaranteed to get up on your feet.